Dental emergency services are only one reason our patients love our office. They know that whether during regular business hours, after hours or on weekends, we are always a phone call away if a dental emergency happens. All calls coming into our office are answered immediately by a real person. During regular business hours we will see you as soon as you can get to our office. If your emergency occurs after hours, you can expect a return call by Dr. Mann or one of his associates within minutes. The doctor will assess your needs and prescribe the course of dental emergency care to give you relief. Dental emergencies never occur at a good time. Although after hours and weekend dental emergencies seem to always happen, you can rest assured that with our dental emergency services there is always someone here to listen. Your jaw has suddenly become swollen due to a broken molar tooth that has a deep cavity. Dental emergency patients will often postpone their treatment because they are embarrassed and don’t want to be scolded or ostracized by the doctor or dental office staff for having put off treatment so long. 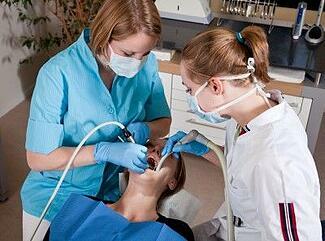 Some dental emergency patients are simply afraid of the unknown effects of dental treatment. Some are afraid of the anesthetic needle, some experience claustrophobia, choking or gagging and others are afraid they will experience pain during treatment. Sedation dentistry is the answer for these conditions and may be for you too. If this sounds too familiar, you’re not alone and the dental experts at Mann Dental Care know just what you need and how to make your dental care an easy course of action. Everyone has different levels of dental pain tolerance, but if you’ve had an uncontrollable toothache on a Friday evening, then it’s time to call Mann Dental Care. Keep in mind that dental emergency care will relieve your pain, not make your condition worse. If you are looking for toothache answers, we can help, immediately!